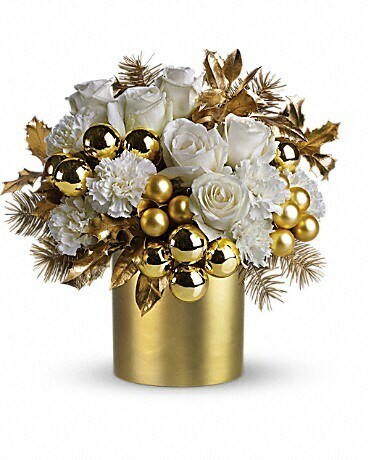 Whether you're hosting the holiday festivities or invited to an exciting soirée, this stunning bouquet radiates sophistication and style. 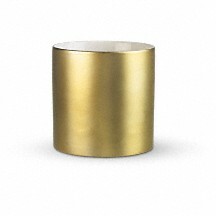 This elegant ceramic cylinder vase with its satiny gold finish is from Teleflora's renowned Flowers-in-a-Gift collection. Perfect year-round for any bouquet from the simplest to the most sophisticated.